In December, when President Donald Trump nominated William Barr to serve as U.S. attorney general — for the second time — many voiced concern about what Barr’s expansive views of executive power would mean for his overseeing the special counsel investigation into 2016 election interference. Compounding those concerns was an unsolicited memo Barr had submitted to the Justice Department that was highly critical of the investigation as well as the fact that Barr had in 1992 regularly considered firing the independent counsel investigating the Iran-Contra scandal. American Oversight filed a Freedom of Information Act request with the National Archives and Records Administration, seeking long-filed-away documents from Barr’s prior service as attorney general during the first Bush administration, when Robert Mueller served as assistant attorney general. Our investigators received nine boxes containing thousands of pages of documents, including memos from Mueller to Barr with his recommendations on whether to appoint independent counsels to investigate various matters. The records present snapshots of the first Bush administration’s final year, from memos about past scandals to congressional correspondence regarding Border Patrol chase protocol. The full production can be viewed here, but below are some highlights. Included in the documents are a number of memoranda containing Mueller’s recommendations about whether to appoint independent counsels to investigate various issues. A December 1992 memo recommends against the appointment with regard to incorrect financial disclosure reports of Secretary of Labor Lynn Martin. Barr then notified the court that he had determined there were not reasonable grounds for an investigation. 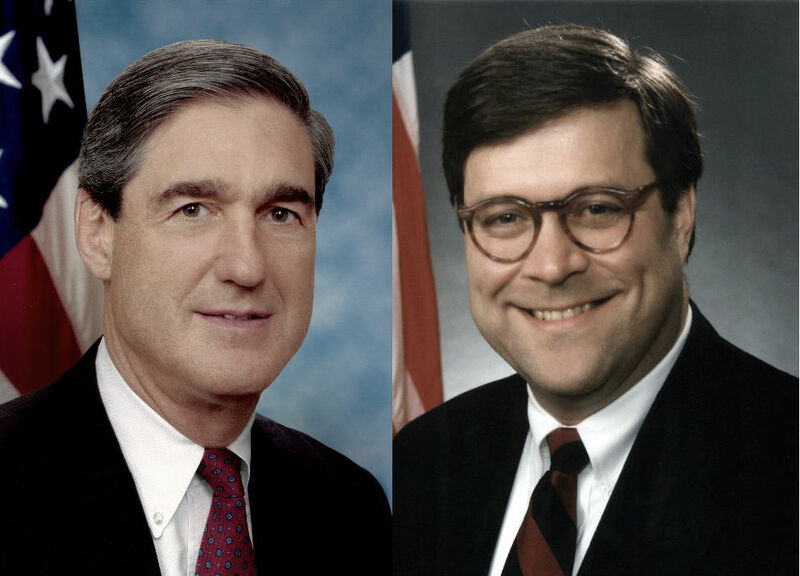 Barr also heeded Mueller’s recommendation to not appoint an independent counsel to investigate the director of the Office of National Drug Control Policy, who had donated $63,000 to Florida Republicans in 1991 to help re-elect Bush, in possible violation of Federal Election Campaign Act limits. Barr accepted Mueller’s request for a certification of crimes in a June 1992 terrorist attack on U.S. military in Panama, which killed one soldier. Mueller also recommended declining a request from then-Senators Strom Thurmond and Bob Dole for an independent counsel to investigate Lawrence Walsh, who had been the independent counsel examining the Iran-Contra affair. Thurmond and Dole contended that Walsh’s October 1992 indictment of former Defense Secretary Caspar Weinberger was politically motivated to affect the election. Barr again took Mueller’s recommendation. The documents contain correspondence to Barr from Mueller and from the independent counsel who was investigating a bribery and influence-peddling scandal at the Reagan administration’s Department of Housing and Urban Development. There is also a request from an aide to HUD Secretary Samuel Pierce that the independent counsel, Judge Arlin Adams, recuse himself from investigating her because of alleged personal bias. Mueller rejected this request, and the aide was indicted in the investigation. After the 1992 election, congressional Republicans requested that the Justice Department appoint an independent counsel to investigate whether a member of the Clinton campaign had tried to sabotage the administration’s trade talks with Europe and whether it the contact could be construed as foreign election interference. Barr ultimately determined that the campaign worker was not covered under the Independent Counsel Statute. In June 1992, six people, including teenagers on their way to school, were killed in a high-speed Border Patrol chase in Temecula, California, of an SUV packed with a dozen undocumented immigrants. The crash sparked concern about Border Patrol’s use of high-speed chases, and Congress even took up the issue in response to the public outrage. The documents contain correspondence between the Justice Department and then-Senator John Seymour of California and the Justice Department about Border Patrol’s pursuit policy, including handwritten notes. Congressional correspondence offers a snapshot of another scandal, this one involving the Atlanta branch of an Italian bank that was found to be making illegal loans to Iraq in the years before the Persion Gulf War. Democratic lawmakers had pressured Barr to appoint an independent counsel to investigate whether the Bush administration had participated in a cover-up. In October 1992, Barr appointed a Justice Department official, Frederick B. Lacey, to investigate, drawing criticism from those who argued that a prosecutor outside the department should have been appointed. After the election, Barr accepted Lacey’s recommendation that further investigation was not warranted.